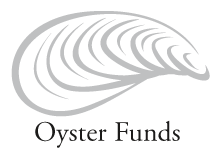 Jere launched the Oyster Fundd I in October of 2014. The seed fund invests in early stage companies where Jere can actively assist the founders in building world class successful businesses. Focused in the Boston and New York regions, Jere looks for companies led by rock-star CEO's and management teams. Oyster Funds invests in both the consumer facing and business facing sectors, including Internet, Big Data, mobile, Saas marketing tools, ecommerce, AdTech, marketplaces, and other enabling technologies. Adjoint At Adjoint, we’re building a revolutionary new messaging and consensus protocol allowing enterprises to quickly deploy, maintain, and analyze a global network of smart contracts on top of a mathematically verified, cryptoledger fabric. Our new approach is based on the latest research in cryptography, type systems and formal verification. It addresses the serious limitations that is preventing the widespread adoption of smart contracts and distributed ledgers for institutions who want to go beyond the proof-of-concept stage and into real production environments. AdmitHub offers free and open college admissions advising to all applicants everywhere. Check out our free Q&A forum or our free application assistant (aka - "bot"). AdmitHub is the first massively open online college counseling service. Ask us anything about admissions. Admitsee is a a peer-to-peer college admissions and advice marketplace with the first searchable database of successful college and grad school applications on files. The problem we’re addressing is the fear and frustration that goes into the college admissions and career readiness. On AdmitSee, applicants can read real successful applications and resumes of accepted students just like themselves. aPriori provides discrete manufacturers and product innovation companies with the most technologically advanced and comprehensive product cost management software and service solutions available on the market today. These solutions fundamentally change the way companies calculate and manage product costs, enabling more informed design, manufacturing and sourcing decisions that drive significant cost out of products, both pre- and post-production. Acquia is the digital experience company. Intuit, Warner Music Group and Stanford University are among the more than 4,000 organizations that are transforming their digital businesses with Acquia's open cloud platform. Global 2000 enterprises, government agencies and NGOs rely on Acquia to create new revenue streams, lower costs, and engage audiences more deeply through content, community, commerce and context. Acquia enables organizations to take advantage of Drupal - the leading open source technology powering more than 2 million websites - to drive their digital experience. Awesome Box combines two of the biggest tech trends— mass customization and social networking—to innovate in one of our oldest traditions—gift giving—by creating a new category of products we call “collaborative expression.” We have built the first scalable platform to create hyper-personalized, collaborative “social gifts” for birthdays, weddings, graduations, employee appreciation or simply for fun. Our products focus on pushing the boundaries of digital-physical crossover. The name of the first product is called AwesomeBox. CabinetM is a discovery platform that is changing the way marketers find what they need and interact with the exploding marketing technology market. Marketing today is a highly technical, metrics-driven function that relies on new tools and technologies for everything from customer acquisition to measurement. CarNow CarNow Visual Sales Messenger (“VSM”) is a next-generation digital communication platform we have developed in partnership with leading dealership groups across the country. Our technology is built on a unique software architecture that provides the foundation for digital retailing in the Automotive industry, and fundamentally enhances the interaction between customers and dealers. CIMCON Lighting is the leader for centralized Streetlight Management solutions for reduced energy usage and maintenance costs. The increasing need to reduce energy and maintenance costs, conserve energy and reduce environmental pollution, along with the move to LED lighting is revolutionizing the industry. Towns, municipalities and LED manufacturers must ensure that street lights are operating at peak levels of efficiency. Our customers experienced up to a 30% savings in energy cost and a 50% savings in maintenance costs, while still protecting the safety of residents by keeping street lights turned ON. Our solutions use the latest advances in wireless technology to provide a true plug-and-play streetlight control system and the lowest cost of ownership. Cloudhealth Technologies gives organizations a new, more efficient way to visualize, optimize, and automate their cloud environments. The CloudHealth® Cloud Service Management platform integrates with services across the datacenter and cloud, giving enterprises, startups, and service providers access to a centralized hub of robust data analytics. Using a policy-driven approach aligned to business processes, customers leverage CloudHealth to drive cost savings, improve agility, enhance security, and reduce complexity. With CloudHealth, customers are able to innovate faster without sacrificing governance or control. College Interactive is the evolution of traditional marketing communications, with the integration of interactive two way mobile marketing solutions. We are a brand new marketplace where student prospects and colleges interact and engage with each other one to one. Ci provides students and colleges to find each other based on best fit. A place where colleges can deliver timely and relevant content in the palm of their prospects hands. Cortex Cortex brings artificial intelligence to marketing. Our algorithms drive a self-regulating, and self-optimizing software that maximizes a brand's social media marketing with minimal human intervention. Cortex allows CFOs to reduce advertising and HR costs, allows CMOs to see better results, and allows social media marketers to focus on what they do best. Crayon is a market and competitive intelligence company that enables businesses to track, analyze, and act on everything happening outside their four walls. Tens of thousands of teams use Crayon’s software to capture and analyze complete competitive intelligence - external messaging and positioning, product and pricing changes, hiring plans, partner strategies, and more - pulling from hundreds of millions of sources. Businesses across all industries use Crayon to enable sales, improve marketing performance, inform product strategies, and drive revenue. Cuseum Cuseum's vision is to transform the way people engage with art and culture at museums and beyond. We're building a solution for museums that powers context-aware mobile apps (using beacons) to enhance the way visitors experience art. The apps initiate and foster discussion inside/outside the museum and provide real-world social and engagement analytics. Our platform brings Internet of Things technology and adds a social layer to the culture sector. Elsen is a high performance computing engine built to solve your toughest problems in quantitative analysis -- so you can focus on delivering tomorrow’s solutions today. Our Accelerated Computing Engine™ uses transformative GPU technology and massively parallel data optimization to process complex data computations up to 500x faster than traditional technologies. Financial institutions and hedge funds use Elsen’s platform as a service to unlock next generation computing power today. We provide clients with incredible speed, accuracy and data optimization for researching and testing new strategies, optimizing portfolios, and conducting pre- and post-trade analytics. Fysical powers marketers, investors, AI, AR, and smart cities with verified location data on how and where humans move via a decentralized location data market. Grapevine brings advocates and brands together to execute large-scale marketing campaigns through a powerful end-to-end marketing platform. Hundreds of brands rely on Grapevine to create compelling, trustworthy, and original content reaching millions of engaged consumers every day. Happie enables candidates and companies to interview with multiple companies and candidates, all via video, all within just 60-90 minutes. It's like speed-dating for recruiting. At LinkSquares, we think your internal legal and finance teams have better things to do than spending thousands of hours a year reviewing contracts one by one. So we built software that automatically reads and retrieves key data from your entire library of agreements, making review and diligence projects lightning fast and super simple. You'll be up and running on our AI-powered Contract Analytics cloud in a snap too - our white-glove onboarding will have you launched, trained, and fully integrated into your workflows in 30 days. KnipBio is a biotech company that makes animal feed more nutritious and sustainable. Aquaculture is the fastest growing animal sector and is one of the best sources of protein to serve the world growing population. At the same time the worlds natural fisheries are at capacity or in decline and fish farming is unsustainable currently. KnipBio's high-yield proprietary fermentation technology offers a more economical, healthier and sustainable alternative source of protein. Loopd is the emerging leader in relational analytics that measure proximity-based human interactions and engagement for corporate events. Marketers can leverage real-time metrics to drive their product, partner, and customer strategies. Loopd is the industry’s only bi-directional solution that enables attendees to exchange contact information, collect marketing materials and passively check-in to speaker sessions. Using physical analytics marketers are able to have a more sophisticated understanding of their most valuable business relationships. Love Pop Cards Love Pop sells exquisite 3D pop-up greeting cards for every occasion. Lovepop works with retailers, businesses, and event hosts to make their message pop on custom orders. Mavrck Mavrck's social influence marketing platform powers premier consumer brands to drive more sales on social media. The company's proprietary influencer activation engine is the only solution trusted by major brands to identify and activate their most influential customers across social networks at scale. Nasuni enables organizations to store, protect, synchronize and collaborate on files across all locations at scale. Nasuni Cloud File Services™, powered by the Nasuni UniFS® global file system, leverages cloud storage to modernize primary NAS and file server storage; archiving; backup; and disaster recovery, while offering transformational new capabilities for multi-site file sharing. Nextwave Hire Nextwave Hire is a recruitment marketing platform that drives your employer brand. The Company captures hundreds of bite-sized employee testimonials to engage passive candidates, distribute your story on social media and power your careers page. The ROI for our solution comes from converting the right candidates. Reggora s a cloud-based real estate appraisal platform. We provide big data analytics to empower real estate appraisers to make more efficient and accurate decisions. Renoviso makes buying home renovation products easy and affordable by allowing consumers to build customized orders, receive professional home inspections and schedule delivery and installation, all online. No more pushy sales people, no more over-spending and no more hassle. Siamab Therapeutics is a biopharmaceutical company developing novel cancer immunotherapies. Siamab has developed a platform of technologies that enable the rapid discovery and development of therapeutic antibodies that bind to a novel class of carbohydrate antigens present on cancer cells. Based in Newton, MA, the company’s lead program is in preclinical studies for the treatment of solid tumors. Skedaddle is reinventing mobility beyond city limits. Moving within city limits is relatively inexpensive and efficient, yet reaching our favorite destinations outside cities is still costly and inconvenient. We believe travel should no longer be hindered by renting expensive cars, hassling friends for rides, or piecing together public transportation. By pairing crowdsourced route demand with luxurious bus rides, we make affordable, direct, and comfortable travel available to all. Whether you’re going to a concert or the beach, skiing, commuting, or just wanting to get from point A to point B, we’re excited to be part of your journey! Just start and join a route to go anywhere! Slidejoy intends to change the way mobile users view and interact with ads. Users opt-in to view ads on their lock screen in exchange for money, which can be applied to charity, an app store or cashed out. With sophisticated targeting capabilities, Slidejoy's application can deliver full screen ads to stay top of mind to a prequalified audience. SmartVid is building an enterprise-class SaaS platform for managing, collaborating, and analyzing industrial videos and photos wherever they come from - mobile devices, GoPro™ cameras, or drones (UAVs). Starting in the AEC (architecture, engineering, and construction) industry, the company has five Alpha customers and is launching a private Beta in the Fall of 2015. Members of Smartvid.io’s founding team previously worked together to build Field Software provider Vela Systems, now known as BIM 360 Field, Autodesk’s “fastest growing product”, and also includes the Chief Creative Officer of enterprise mobility consultancy Mobiquity. Squadle is a digital logbook and task management system for restaurants and brick and mortar businesses. At Squadle we work with restaurant franchisors like Keystone Restaurant Group and food trucks like Chicken and Rice Guys to help them become more productive and profitable. To learn more about Squadle or request a demo, visit Squadle.com. Testive offers a FREE SAT/ACT prep software that all students with an Internet connection can access. Our software focuses on our students weak areas, shows them a video of why they got a question wrong, helps them reflect on their mistakes, and keeps serving up questions in these areas to help them master the material. Our paid coaching program helps students stay on track when prepping for the SAT and ACT. All of our coaches have scored in the 99th percentile on the SAT or ACT. They monitor each student's progress daily and meet with them weekly via video chat to help them get the most out of their test prep so they're confident on test day. Testive students have increased their SAT & ACT scores 3x the industry average and have been accepted to some of the most prestigious colleges in the country. ThriveHive is an all-in-one marketing platform that gives local businesses a custom marketing plan and provides the tools and expertise to do it all in one place. TVisions Insights can collect viewers’ demographic information, TV channels being viewed, general reactions (facial expressions), and facial orientation (to know if they are actually watching the TV) by placing an Xbox Kinect at the base of a television in a household. This data is extremely valuable to advertisers and media buying agencies who today have no real measurement of their advertisements’ effectiveness. VisitDays Every campus has a story. VisitDays helps you tell it. VisitDays makes scheduling campus visits simple, engaging and memorable for students and parents. Register for on-campus visits, college fairs and even phone calls or video chats with admissions, financial aid, faculty members and current students. We take care of all the reminders before the visit and make rescheduling hassle-free, so the admissions office can fall in love, too.